WikiLeaks Begins Exposing U.S. 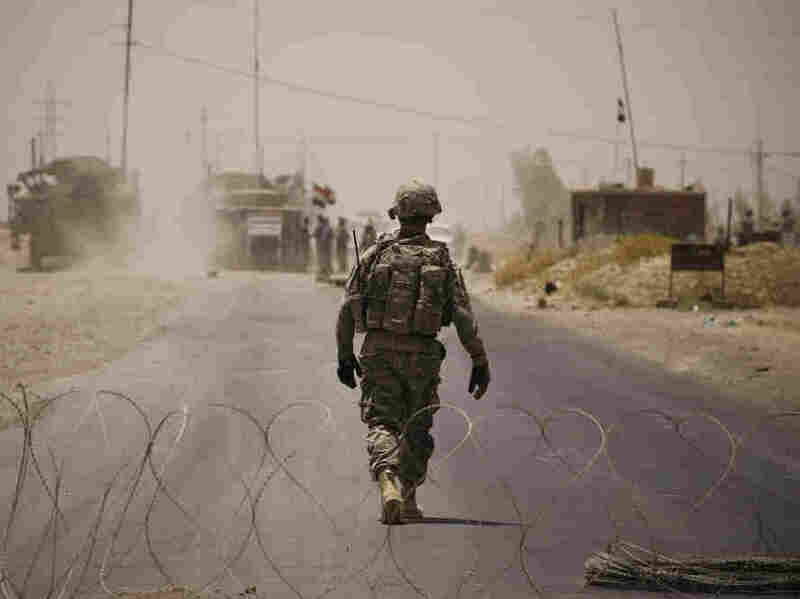 Documents About Iraq War : The Two-Way Whistleblower site WikiLeaks has begun to release an estimated 400,000 classified military records related to U.S. operations in Iraq. The documents reportedly offer new details about civilian deaths, as well as the mistreatment of Iraqi insurgents. Whistleblower site WikiLeaks has begun to release what is estimated to be some 400,000 classified military documents related to U.S. operations in Iraq. The papers reportedly offer new details about civilian deaths, as well as the mistreatment of Iraqi insurgents. Many of the documents are what the military calls "significant action" reports -- essentially raw intelligence papers prepared by U.S. soldiers in the field. The reports detail 109,032 deaths in Iraq, comprised of 66,081 'civilians'; 23,984 'enemy' (those labeled as insurgents); 15,196 'host nation' (Iraqi government forces) and 3,771 'friendly' (coalition forces). The majority of the deaths (66,000, over 60 percent) of these are civilian deaths. WikiLeaks, run by editor-in-chief Julian Assange, gave early access to the documents to certain media outlets -- among them, the Al Jazeera TV network, The New York Times, France's Le Monde newspaper, The Guardian and Germany's Der Spiegel magazine. The New York Times has several reports which mine the documents for new details about massive civilian deaths, the Iraqis' treatment of detainees, and the revelation that Iran possibly seized three U.S. hikers on the Iraqi side of the border. Al Jazeera is focusing on revelations about torture, especially the possibility that U.S. personnel were under a "secret US military order not to investigate Iraqi torture." The network will begin airing its reports about the documents tonight. The Guardian reports similar findings about torture, but with an additional report about 15,000 'unkown' civilian deaths. The British newspaper describes U.S. troops firing upon people who were attempting to surrender, and recounts several episodes in which soldiers fired upon civilian vehicles at checkpoints. The Guardian also used dozens of log entries to reconstruct a single day in the U.S. occupation of Iraq -- Oct. 17, 2006. Summaries of reports from that day are displayed next to a map that details where each event occurred. And over at the site for French media upstarts OWNI, which earlier this year created an Afghan War Logs application to detail and organize the reports, one of their top folks tells the story of how Assange got in touch earlier this month to ask if they would create another version of their application, for the Iraqi papers. Had we hosted the app ourselves, likely within hours of launch the police would demand we take it offline. We had to look to freer countries for hosting. Wikileaks told us to look at Bahnhof.se, their own host, famous for having its servers buried deep in a nuclear shelter. NPR's Rachel Martin is reporting on reactions from the U.S. military, where officials have been bracing themselves for the documents to be released. The Pentagon says that files like the ones released by WikiLeaks don't tell the whole story. Wikileaks has never named the source who handed over the secret documents. But an intelligence analyst for the U.S. Army named Bradley Manning has been arrested for allegedly leaking secret information. The U.S. military has formed an Information Review Task Force of more than 120 analysts to sift through its records of the activity reports, looking for names and other details that, if revealed, might put lives in danger. An earlier batch of documents exposed by WikiLeaks pertained to the war in Afghanistan. After that release, NPR's Terry Gross spoke to New York Times reporter Mark Mazzetti about what he learned from those papers.